Hey friends! 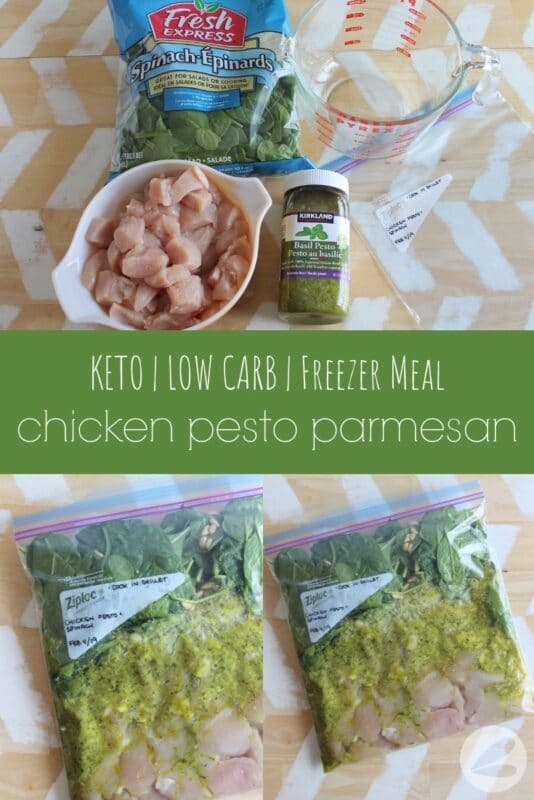 I have been on a mission recently to find low carb variations of our favorite family meals. What I have discovered along the way is that most of our favorite recipes can be easily made keto friendly with a few simple substitutions. 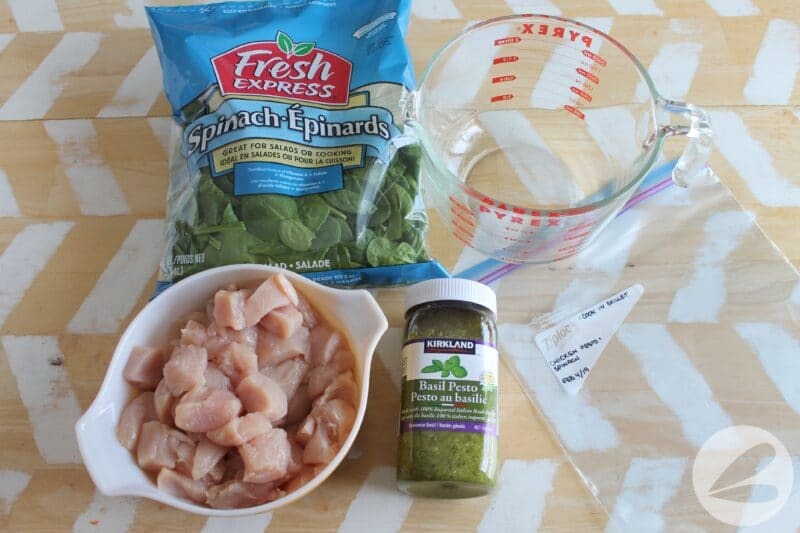 Like this absolutely delicious Chicken Pesto Parmesan recipe that I have adapted from our tried and true Sausage Pesto Pasta. 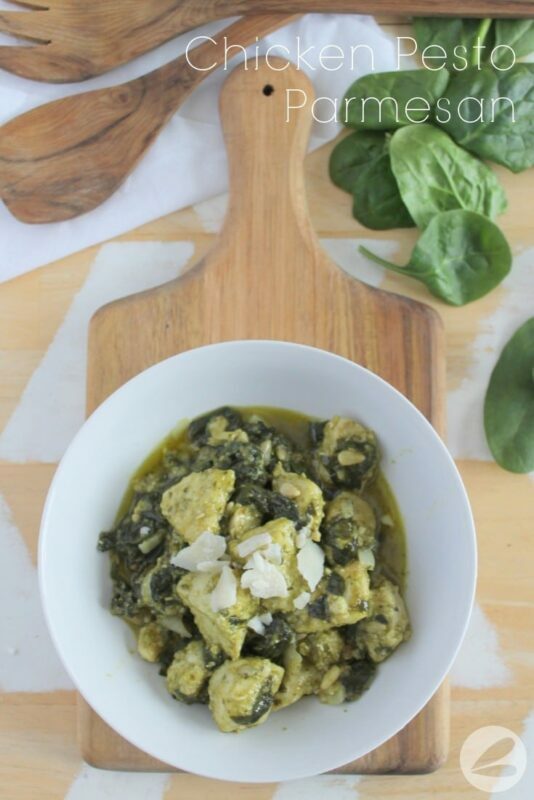 I love, love, love the flavor combination of pesto, parmesan and spinach! I chose to serve this with chicken for a great source of lean protein. 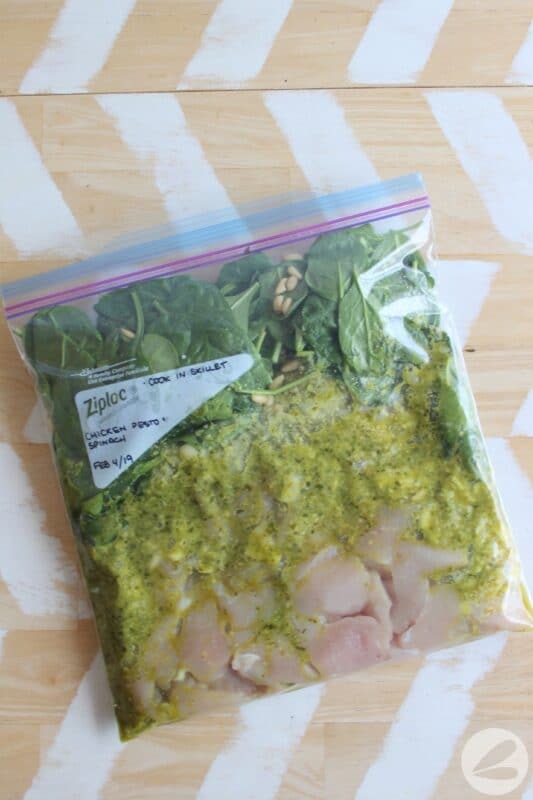 You could absolutely substitute ground turkey or sausage for chicken if you would like. 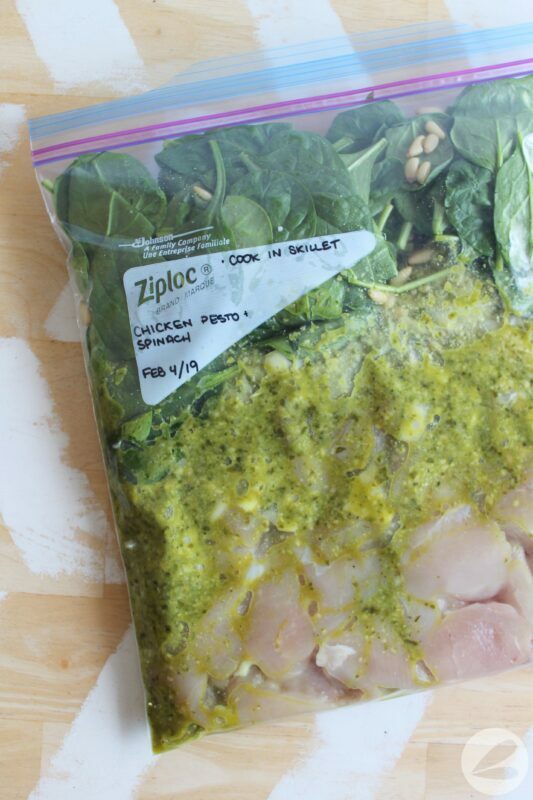 Combine all ingredients into a large freezer bag. Cook in a skillet on medium until chicken is cooked through. Alternatively place into crockpot and cook on low for 4-6 hours. 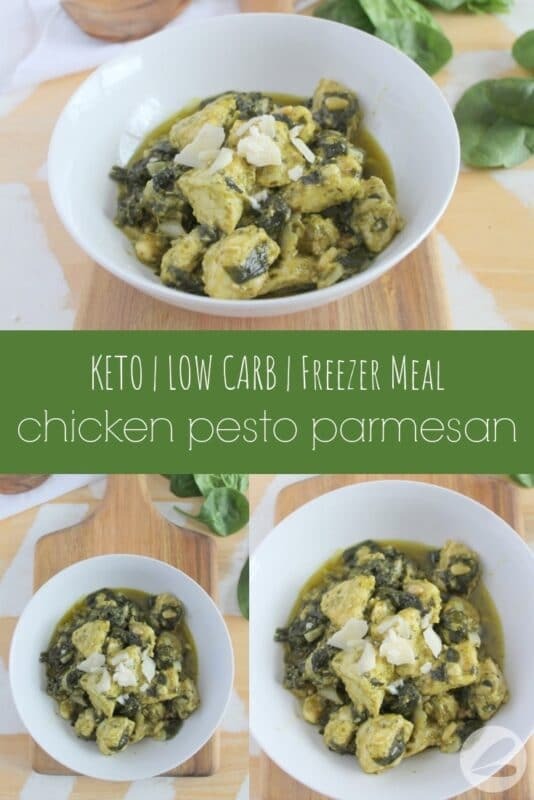 This recipe can be paired with zucchini noodles or served over cauliflower rice for the perfect low carb family meal! My kids prefer to have their Chicken Pesto Parmesan with zucchini noodles. Mostly because they like to use the spiralizer to create the noodles themselves! Did you know that Costco now sells spiralized zucchini noodles? I have seen them in the produce cooler. Be sure to salt the noodles, lay them out flat on paper towel and pat dry after a few minutes to prevent excess moisture being added to your recipe.